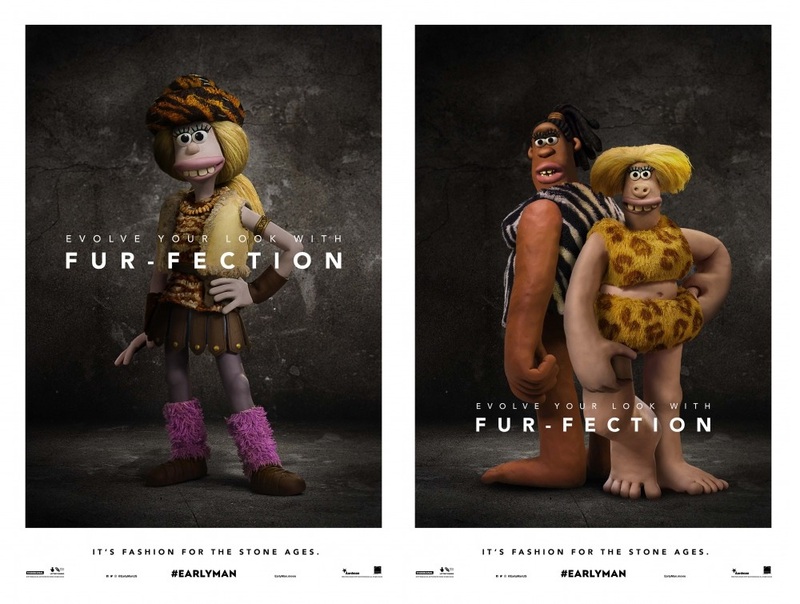 HOLLYWOOD SPY: PREMIUM SPOTLIGHT AND HILARIOUS CHARACTER POSTERS FROM 'EARLY MAN' ANIMATED MOVIE WITH TOM HIDDLESTON AND EDDIE REDMAYNE! PREMIUM SPOTLIGHT AND HILARIOUS CHARACTER POSTERS FROM 'EARLY MAN' ANIMATED MOVIE WITH TOM HIDDLESTON AND EDDIE REDMAYNE! 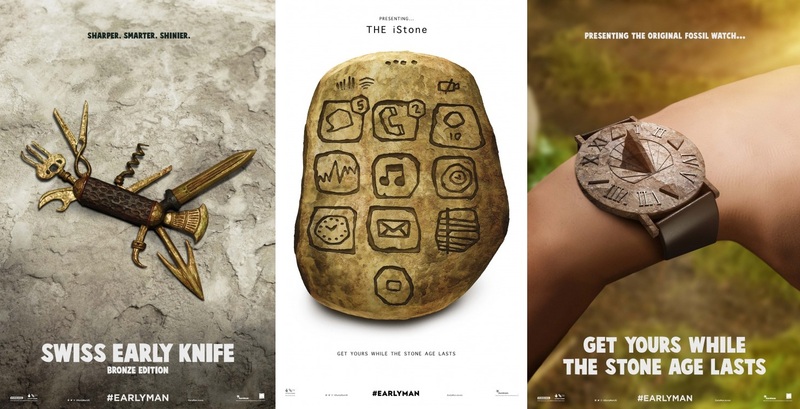 To end the working week, we're moving over to the prehistoric ages because EARLY MAN has just got a bunch of really funny new character posters and they're massively hilarious because they're... very modern! 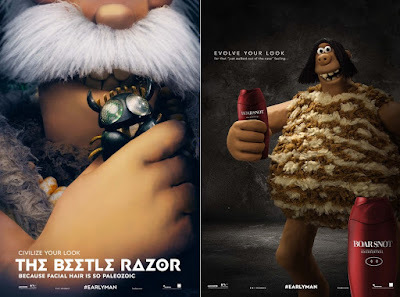 The $50 million stop motion animation movie will arrive into British cinemas January 26th and will then bow in Northern America and the rest of the world during February! 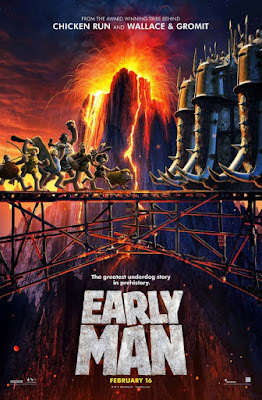 Directed by Nick Park it comes from famous Aardman Animations studio which brought us Wallace and Gromit. Every Early Man takes care of his looks! Check out the latest state of the caveart gadgets from Early Man! usually of the accidental self-inflicted variety. Deep down Bobnar knows his tribe are limited but his desire to play things safe puts him at odds with Dug. The latest trends from the prehistoric catwalks! ambition for his tribe, despite their obvious shortcomings) or Lord Nooth, a self important pompous Governor of the local Bronze city and a money-loving tyrant who enjoys the trappings of his luxurious Bronze Age lifestyle? Not my cup of tea, even if Our Tom is one of the voices. 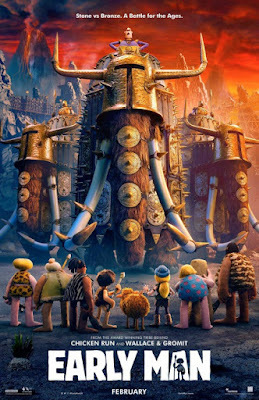 I am not an overly huge fan of the claymation type animation, but I am sure it will do well at the box office. People like a good family film like this. Haha, that watch is hilarious!